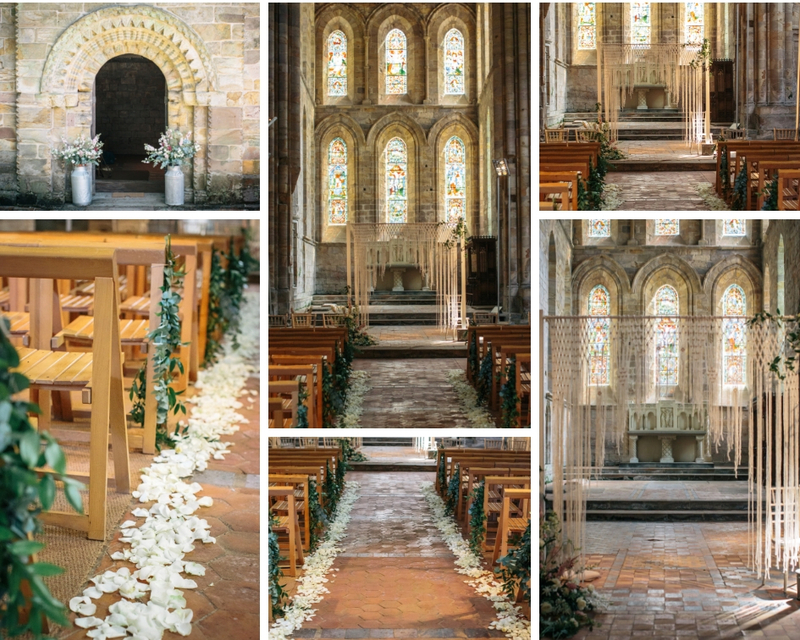 If you are wild at heart but also appreciate a taste for luxury, you will love these images I captured of my latest wedding at the stunning Brinkburn Priory, a quintessentially English venue, nestled in the beautiful Coquet Valley in Northumberland. Brinkburn Priory is one of the most romantic wedding venues I’ve had the pleasure to style. 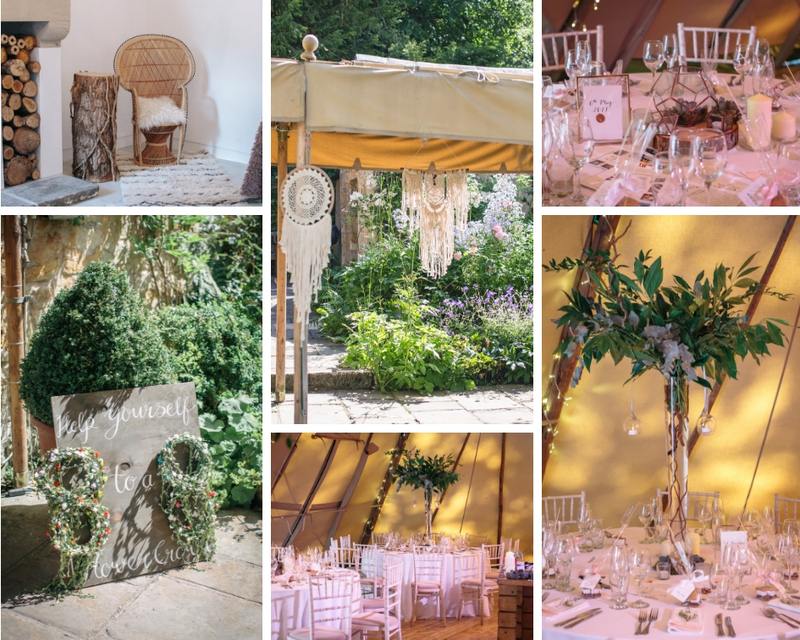 The stunning countryside, the Priory, the White Room and the Tipi provided the perfect backdrop for Rachael & David’s luxe bohemian wedding. I loved seeing all my macrame and dreamcatchers lining the entrance to the tipi and the copper terrariums and frames looked amazing on the tables. My boho peacock chair also looked fabulous in the White Room surrounded by my fur blankets and bohemian rugs. The super talented Christine from Lavenders’ Blue filled the copper terrariums with moss and succulents and provided the most gorgeous floral arrangements. I particularly liked the hanging installation over the top table and the flower filled milk churns outside the Priory. 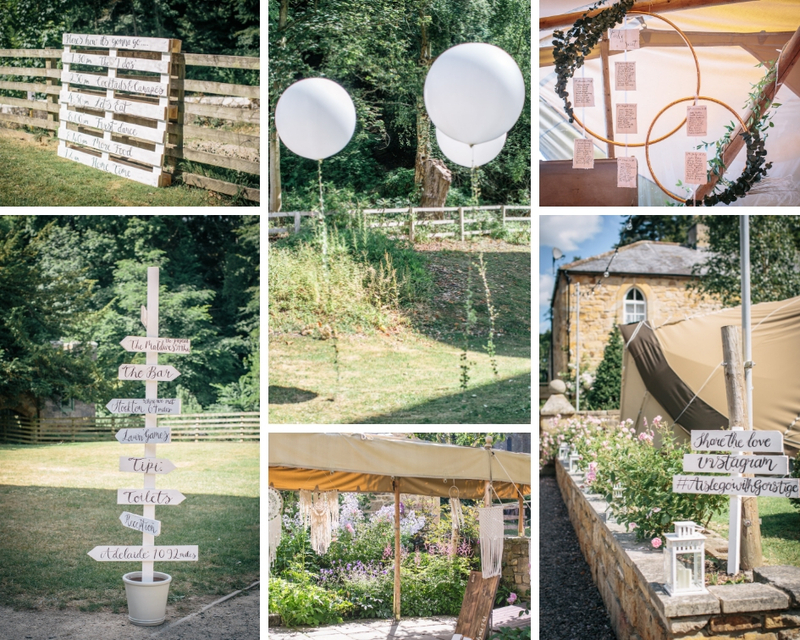 Rachael & David added lots of bespoke and personalised touches throughout the venue. They thought of every single little detail and provided plenty of entertainment for everyone. It was a glorious day filled with fun and love and I was very lucky to be part of it. For further samples of our work and recent projects, you can have a look at our Instagram and Pinterest accounts online. If you would like to browse our online hire catalogue, you can follow this link.